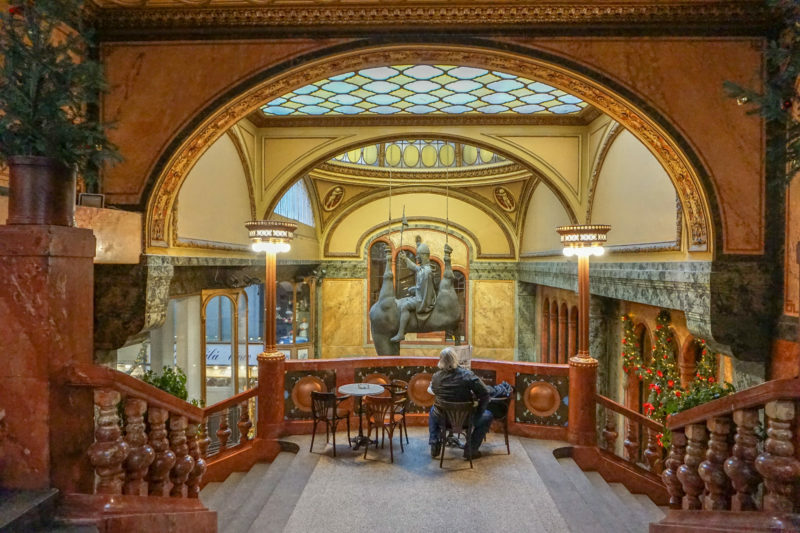 Lucerna is an iconic place to visit. This palace build in Art Nouveau style provides several hidden gems that are not visible at first sight. 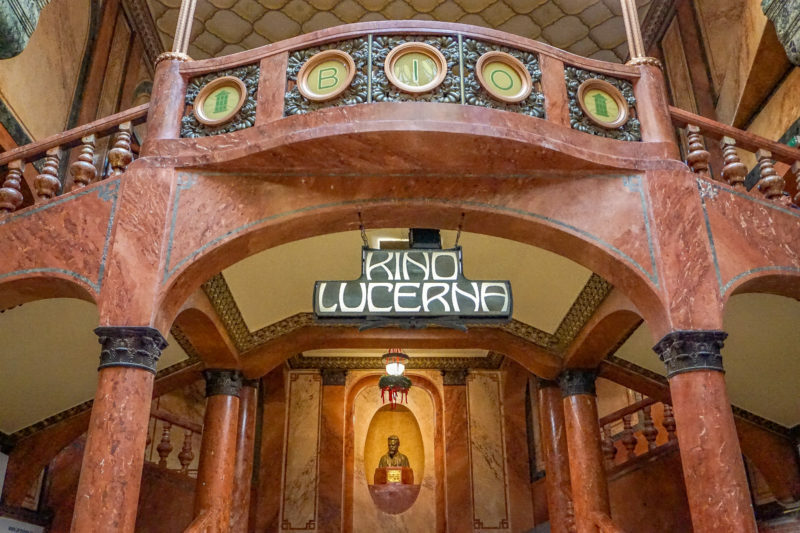 First and foremost, Lucerna has the most beautiful cinema in Prague. 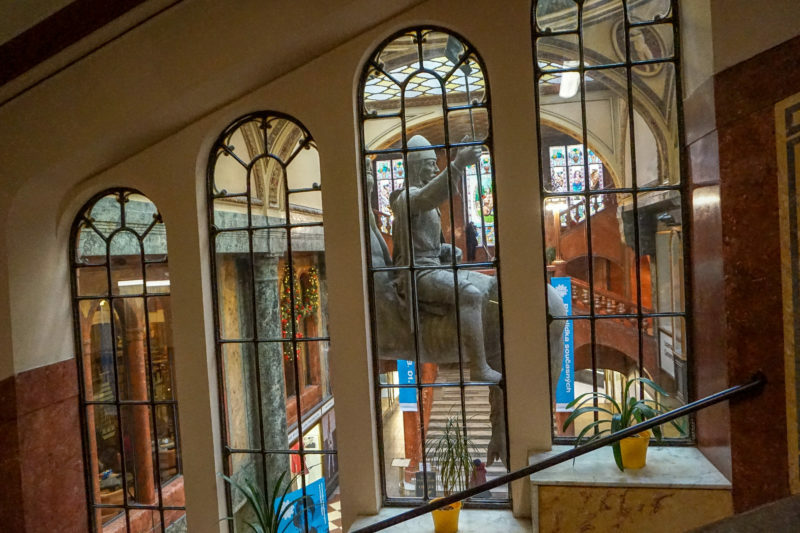 You can have a rest in epochal café and admire the controversial statue of David Černý. Lucerna is also known for its system of passages with small shops and of course a legendary rock club. It is like a predecessor of the modern multiplex, but this one has a style. Lucerna is a palace as well as passage connecting Vodičkova and Štěpánská street, right in the middle of the Venceslav Square. It is like a hidden multiplex full of small shops, cafés, and restaurants. 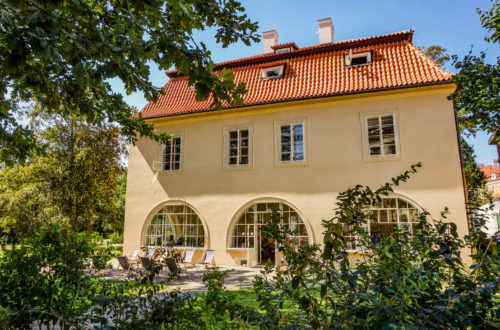 What might be of your interest is that it was built by the grandfather of our former president Václav Havel more than one hundred years ago. The main reason, why I am writing about Lucerna is the cinema. 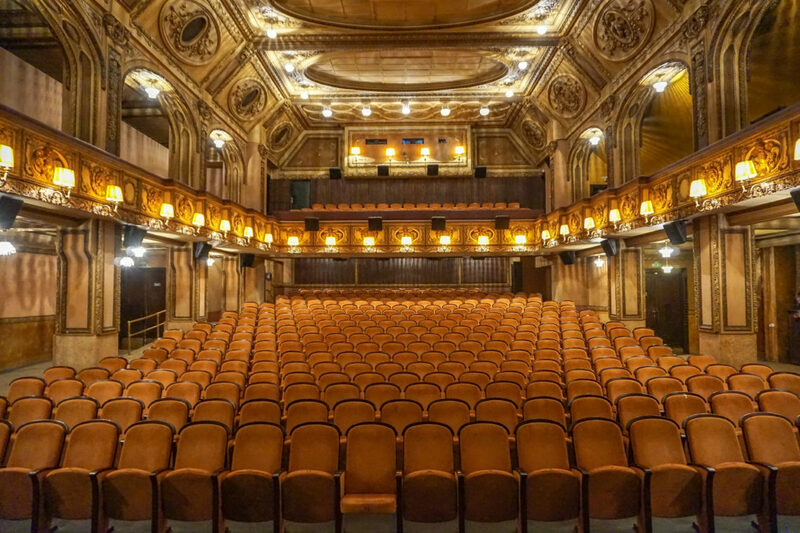 Visiting it is just an exceptional experience because you feel rather like in a theatre. It was open to the public in 1909, and since then it keeps it original looking. The program is rather exceptional. 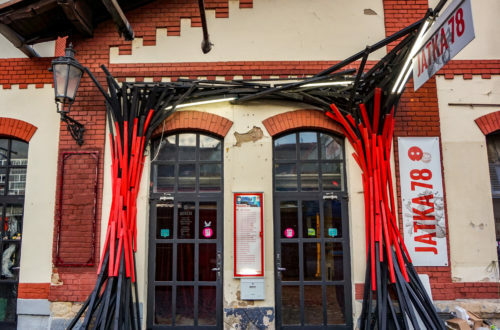 Beside trending movies that you can watch in every multiplex, Lucerna almost constantly offers a broad range of thematic festivals such as Scandi, French movies, Das Film Fest, sci-fi festival Future Gate, popular One World festival, film legends and many more. You can also watch the previews of the movies if you are particularly eager about some particular one. 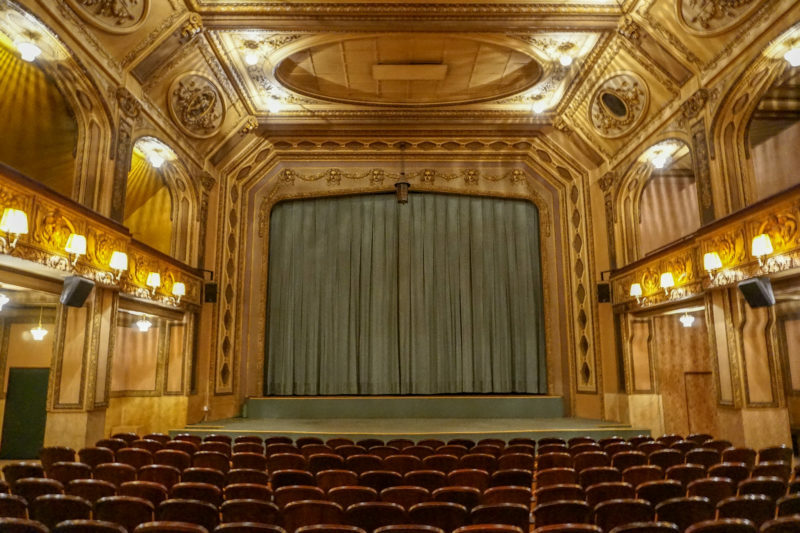 Lucerna offers two different screening rooms. The big one I already write about can host 453 people, but there is also a small one for 51 people. It was opened only in 2013. Before, it served as a private screening room for friends of the owner and previews of the movies for the VIPs. 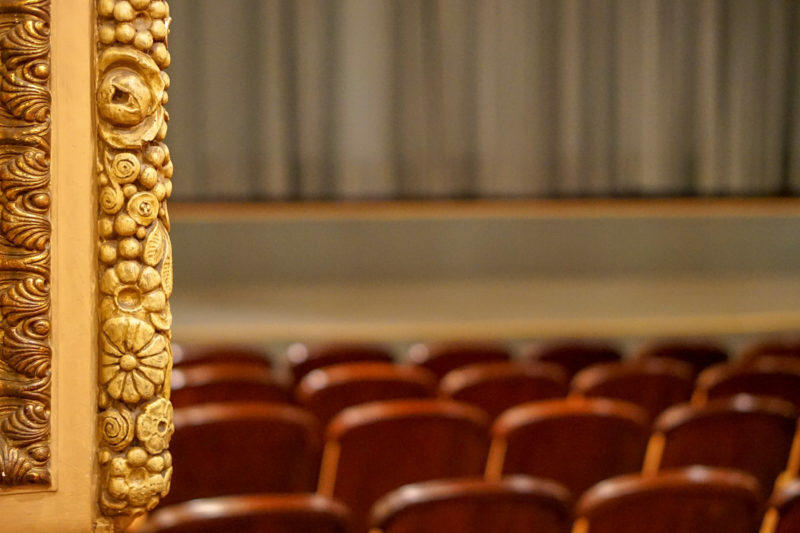 During the communist period, the small screening room was destroyed and divided into several smaller rooms. 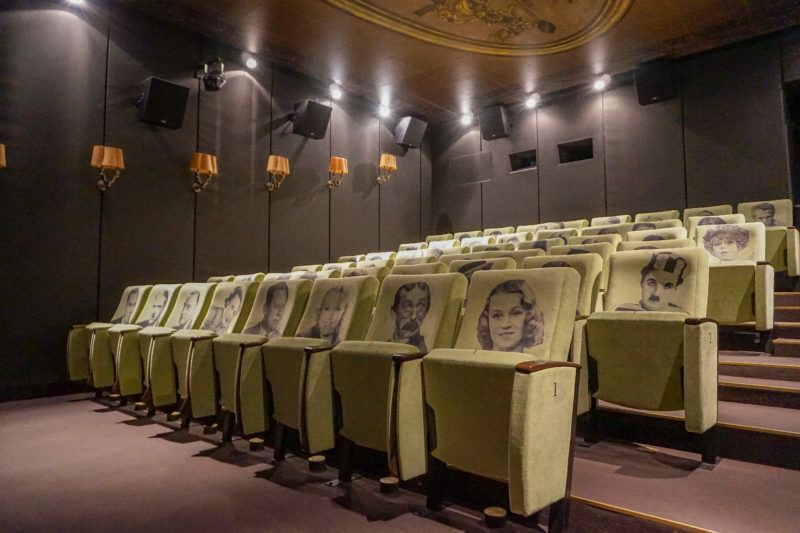 It was rediscovered by accident and redesigned with seats portraying famous filmmakers. 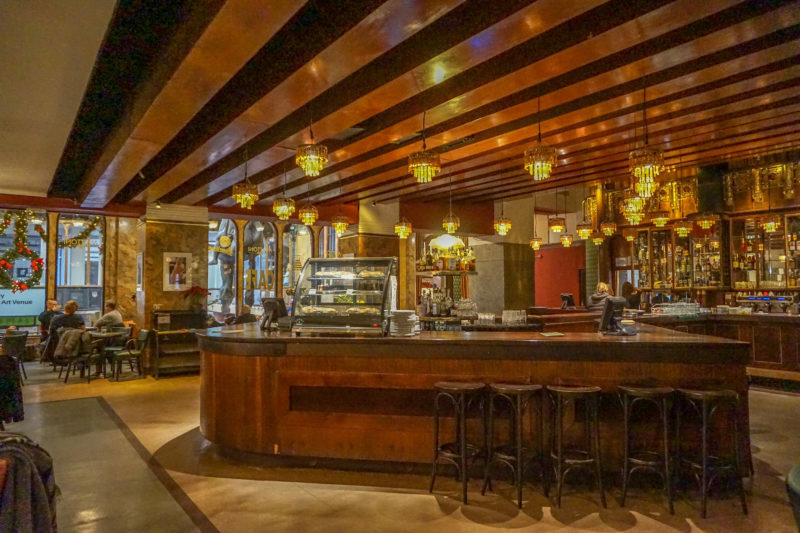 If you have time before or after the movie, enjoy the epochal café on the first floor. 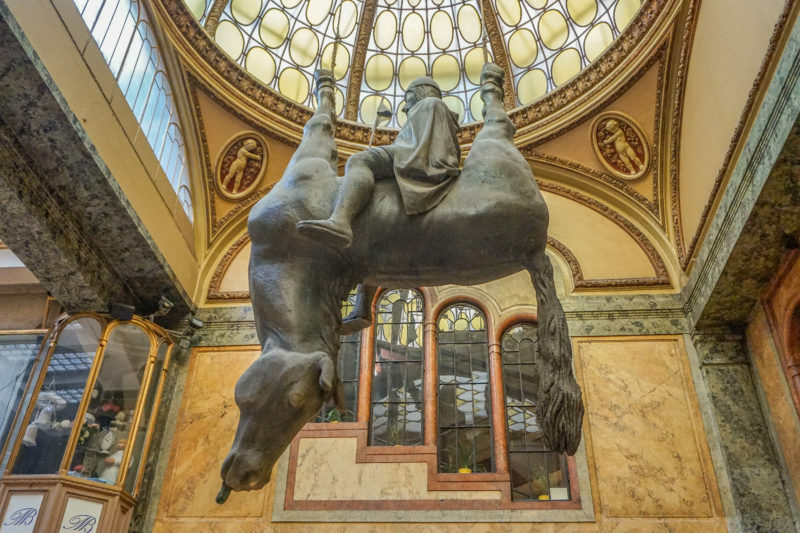 You have an interesting view of the statue of a dying horse with the king Venceslav sitting on his stomach. The author is a controversial artist David Černý (you might know his statues of babies from Kampa – article here). The statue is hanging in passage since 2000 when David Černý agreed with the owners to keep it until the restoration of the monarchy in the Czechia. What I found particularly pleasant is the recent opening of the roof for the public. 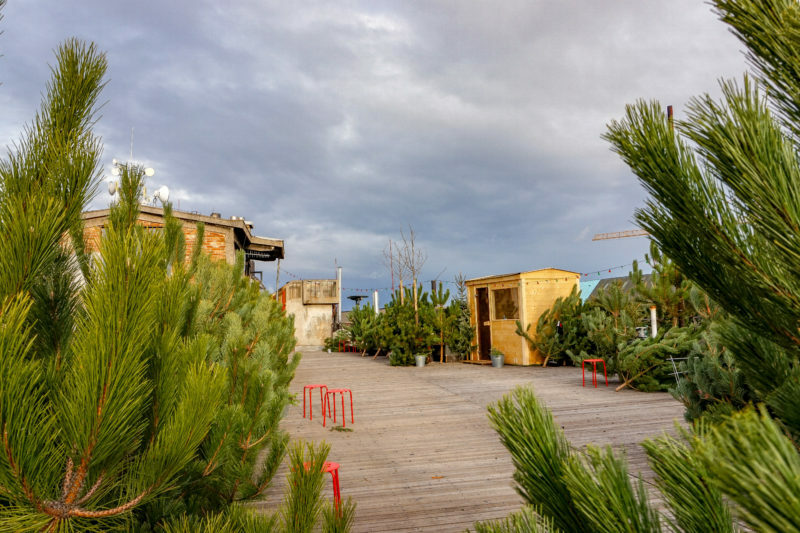 The original plan was to open a public garden on the rooftop that is still ongoing. Furthermore, you can enjoy various events, music performances or yoga classes during the summer. 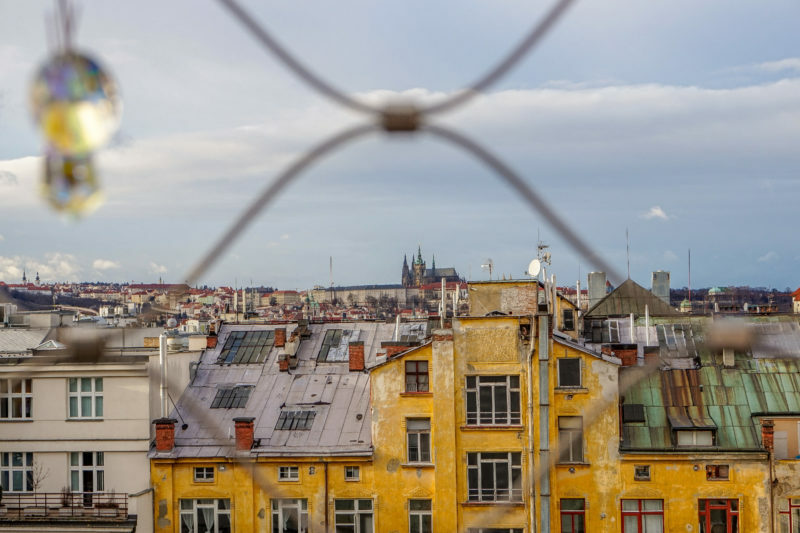 It’s absolutely worthwhile to visit it and see Prague from a different perspective, especially with the hidden courtyards, that are mostly hidden to the public. 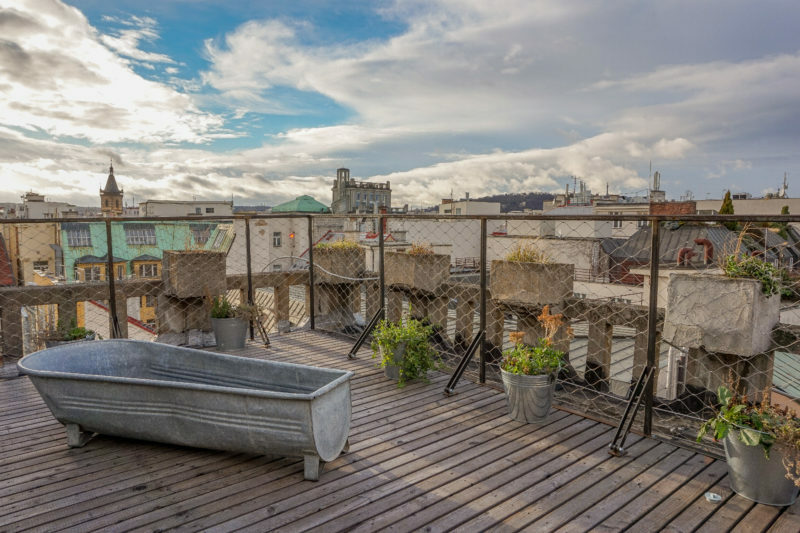 If you would like to visit it, check the planning events here. 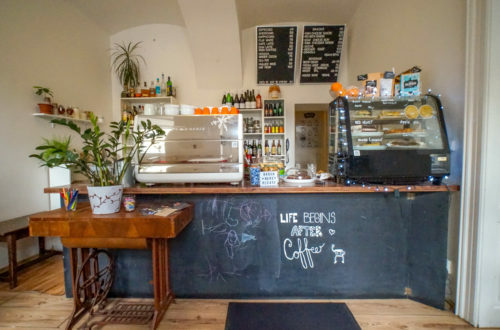 Lucerna is located between two streets, Vodičkova and Štěpánská. Vodičková is located in the middle of the Venceslav Square where are crossing all three metro lines. When you get off on the metro stop Mustek, you will get almost in front of the Lucerna Palace.